Postponed! Rain Date: September 18, 6 pm – note the time change! Artist and boat-builder Jessica Segall will conduct the Procession for Immediate Certainty, a parade during which her handmade Norwegian faering will be carried across Manhattan along 23rd Street, with live music by the Raya Brass Band. The procession will end with a launch into the East River in the style of a Viking funeral. 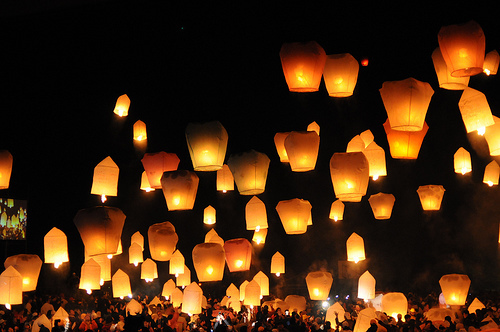 The vessel will then sail on to Queens, to be accompanied by the release of sky lanterns over the river. We’re looking for strong hands to carry the boat, but anyone can join us to watch – come wearing blue! In response to the untimely end of the Captain Courageous, a handmade take on the Polynesian fishing canoe made from parts of an ice rink, Hans Maharawal and Thomas Robinson are constructing a new vessel: a pirate ship. A workshop with artist Eunhyea Choi. Participants will work to make a formative poem with elements such as plexiglass, paper, colored pencil and light.